Need Legal Assistance? Contact us Now for a FREE Consultation. Serving Northeastern Pennsylvania, including Luzerne County, Lackawanna County, Monroe County and the surrounding communities, including Wilkes-Barre, Scranton and Hazleton. Schedule your FREE Consultation today. It is common for individuals and businesses to find themselves involved in a legal dispute with another party. Disputes might involve personal injury, product liability, medical malpractice, wrongful death, workers’ compensation and social security disability. The objective in such a dispute is to right a wrong, compel the adherence to an agreement or obtain just compensation for any injury or damages suffered. 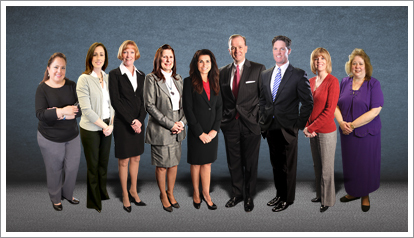 O’Donnell Law Offices is a qualified, experienced personal injury law firm that will help achieve a successful outcome in your legal dispute. Our success is measured in our proven track record, as well as acknowledged by membership in the Multi-Million Dollar Advocates Forum, selection by Super Lawyers as top attorneys in Pennsylvania, and a listing in the National Bar Register of Preeminent Lawyers.